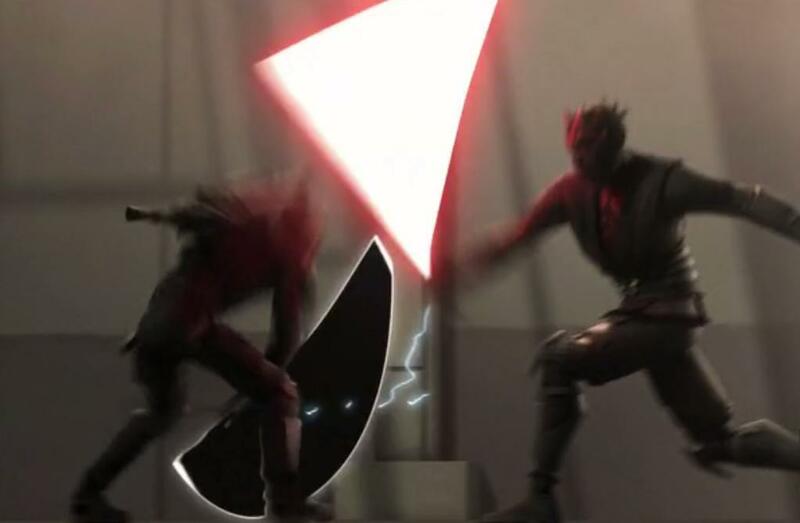 They then engage in a duel, beginning with a light saber fight, Darth Maul using his single-bladed light saber and Pre Vizsla using his dark saber (although technically a dark light saber). 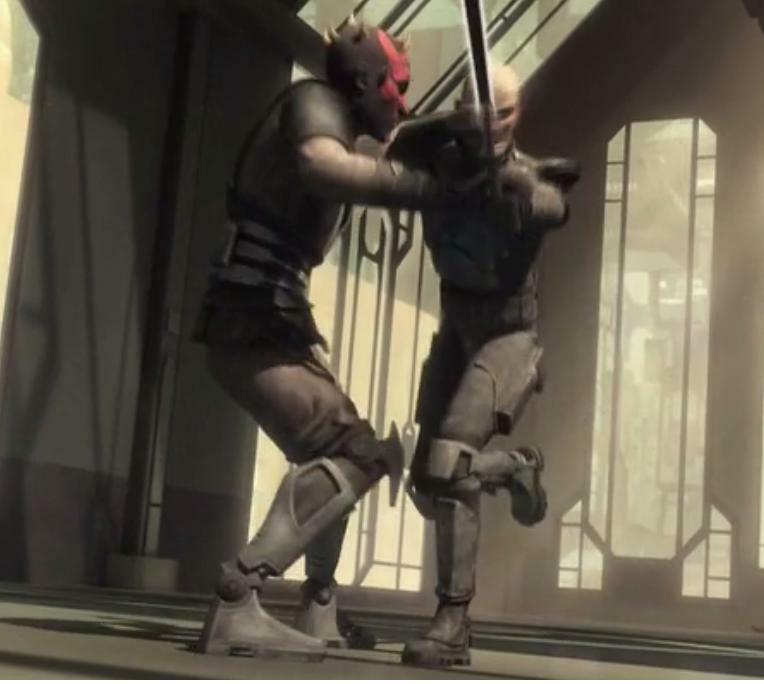 At various points in the fight, Vizsla shoots a blaster or two at Maul, uses a flame thrower, shoots metal-bladed circular stars, hurls a few bombs at Maul, but throughout, Maul is able to handle it all. 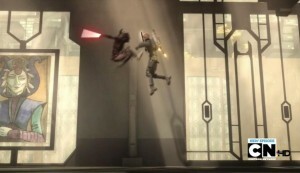 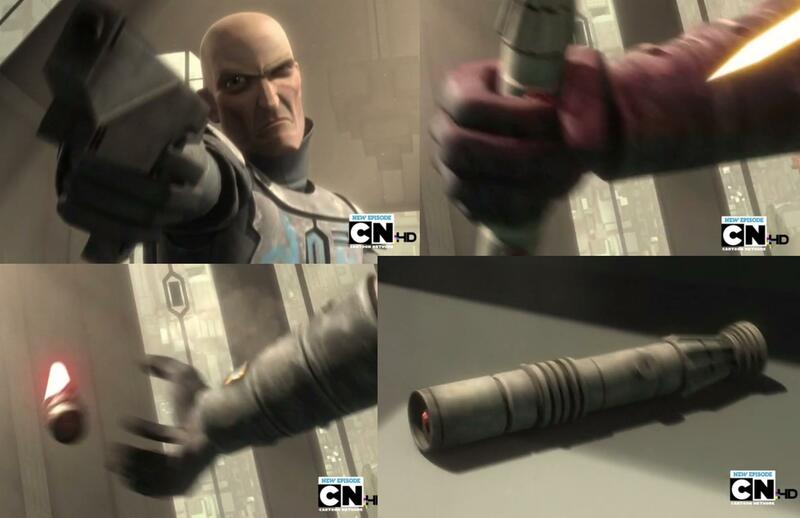 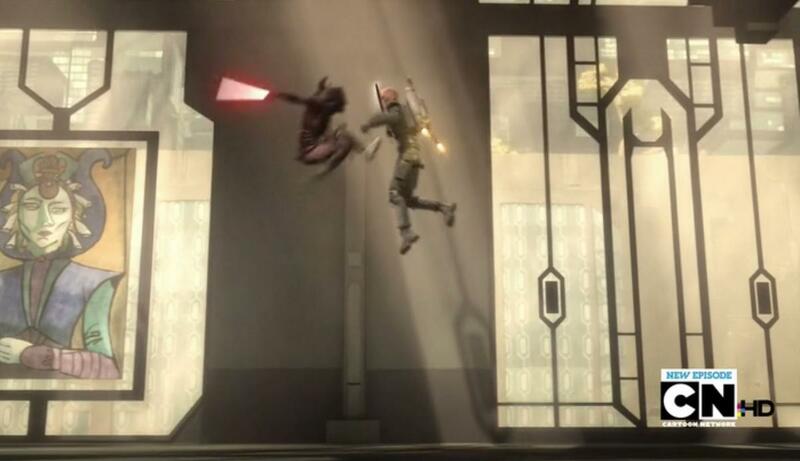 Eventually, Vizsla uses a blaster to shoot Maul’s light saber away from him. 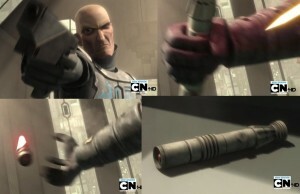 Vizsla then charges the light saber-less Maul, only to be grabbed and have his light saber dislodged from his hand. 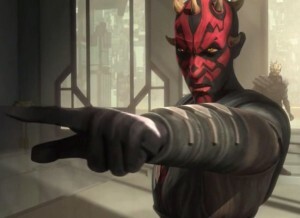 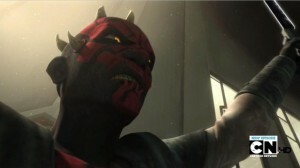 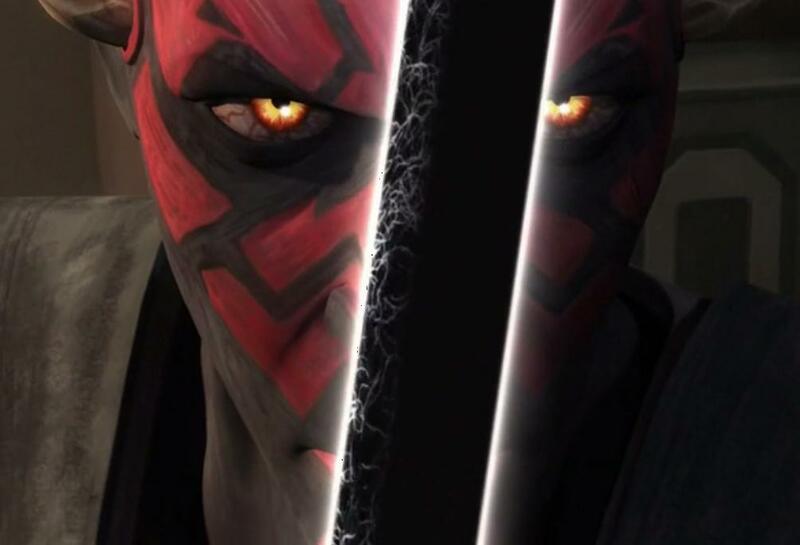 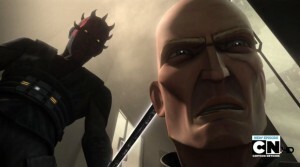 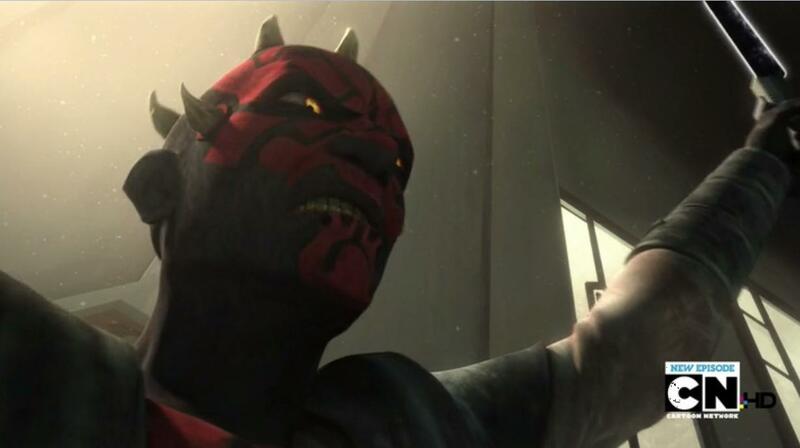 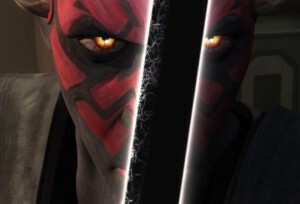 Maul then uses the Force to grasp the dark saber for his first time. 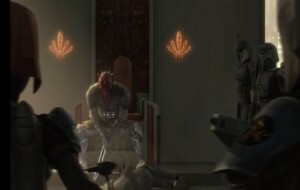 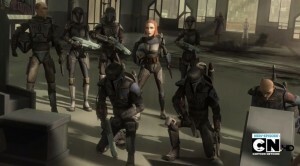 Having secured the allegiance of some of the members of Death Watch, Maul then issues his first command to his new soldiers: “Execute them!” While some of the Death Watch members who follow Bo-Katan are able to escape, Maul has clearly secured this important power and soldiers to follow. 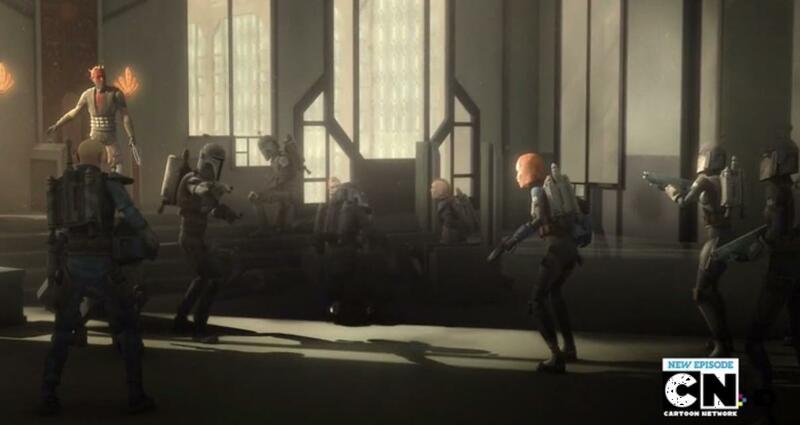 Next What do we learn about Saw Gerrera from The Clone Wars?